Hip, Happening, Fun and Full of Life! This is the way a DJ performance should be! Introducing King Louie & The Lips. Long gone are the days of having a boring lifeless Disc Jockey pushing play to a playlist of your favourite songs. What happened to having fun with your DJ and dancing along to songs you love, yet feeling like you are listening to the song for the very first time? 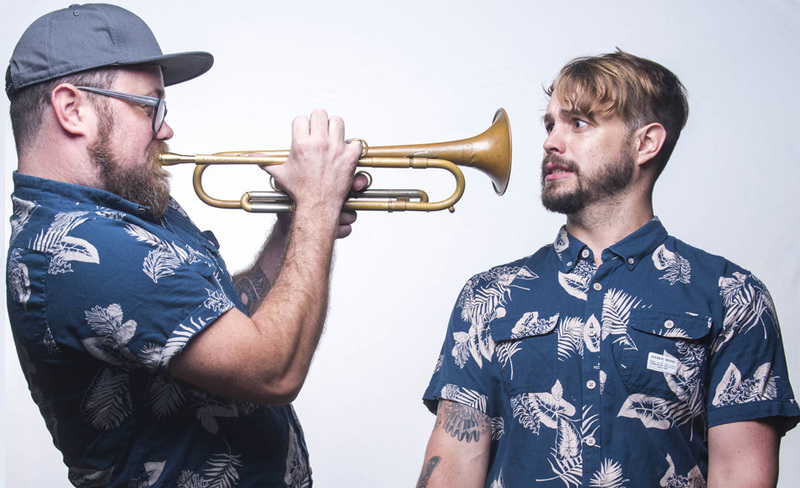 More DJ Duo acts are creeping out onto the scene, but what makes this Duo Act totally unique is that they have one of the most seasoned Jazz Trained musicians in SA performing in their group. The introduction of Lee Thomson on Trumpet and Flugelhorn helps to transform ordinary music into a entirely new sound and makes each event more worthy of being remembered as a great party. DJ King Louie, also a member of bands such as We Set Sail and Rumspringer, brings along a collection varied music, from Pop to Jazz, Hip Hop, Swing, Commercial and loads of other styles and genres. He can be seen regularly at Aces & Spades and The Village Idiot in Cape Town, SA. Trendy. Fresh. Fun. Unique. Awesome. Energetic. Exciting. are only a few words to describe this new addition to the Shake & Bake Entertainment team of talent. If you’re looking for fun and something more intriguing and fresh, then King Louie & The Lips is your next band to book at your upcoming event.